Planning a camping trip but don't want to spend a fortune? 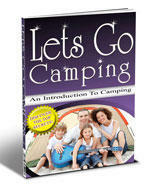 Learn all the top secret to camping in the great outdoors and make your first adventure a complete success. Well, It's no surprise that camping is one of the most popular recreational activities in the world! Every year, millions of people book their camping spots to enjoy an opportunity to experience nature and wildlife. People generally love the outdoors since it's a chance to get away from civilization and also a chance to bond as a family or just have a great time overall. We live on a shrinking planet! World populations continue to grow and put ever-increasing demands on natural resources. Every day cities are expanding their borders and infringing on surrounding farm lands and forests. Every day plants and animals are becoming extinct as a result of the expansion of our modern society. The conservation efforts of governments may be able to preserve many forests and public lands for future generations to enjoy but they can't stop the lines waiting to get into these places from getting unbearably long. Camping requires uncrowded open spaces in order to be appreciated. Consequently, the opportunities for memorable camping experiences are getting fewer and farther between. What better reason to go camping than to enjoy the outdoors and the scenic wonders of nature while we still can? With popular outdoor destinations requiring reservations as much as a year in advance, the feeling of the outdoors is getting lost in the crowds. More and more it's becoming necessary to camp in the off-season or to travel great distances in order to find any peace or solitude. There are many valid reasons for escaping the routines of ordinary life, and camping facilitates that escape for many of us. We all need a return to nature now and then, and we all can benefit with a break from our routines. The thought of sitting around a campfire under a clear sky, gazing up at the stars and listening to the sounds of the night can strengthen our bodies, pacify our minds and restore our spirits. Camping is rejuvenating! Search for your youth and go camping! And, wherever you find peace, stop for a moment and reflect on how blessed you are to be able to live on this marvelous planet that we call campground Earth. Remember to share your love for the outdoors with family and friends and to help pass on some respect for nature to future generations.